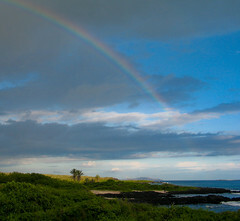 I’m still here in Galápagos, after 16 months, working for the Charles Darwin Foundation. My work (and my boyfriend too) keeps me so busy that I’ve almost forgotten about this blog (it’s pretty easy, if you don’t have internet at home). Well… let’s see if I will be able to start posting again! For all this time, I’ve been living in the volunteers’ dorms at the Charles Darwin Scientific Station. 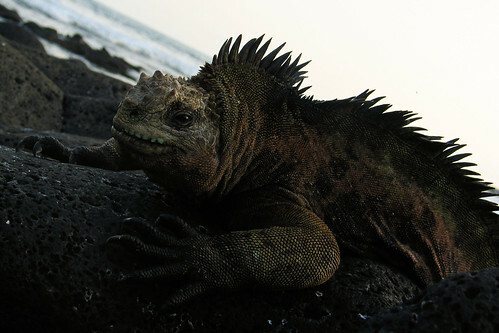 Living there was awesome: falling asleep to ocean’s sounds, waking up to the song of darwin finches, drinking tea sitting in the tortoise’s corrals, or, in the early morning, walking on lava rocks by the sea, surrounded by iguanas, crabs and herons. It also meant to live together with volunteers (from 7-8 up to 16) from all over the world, sharing stories, traditions, recipes and drunken songs (and also sharing bathroom, kitchen and fridges). Now, that time has come to an end. It’s time for me to go live by myself, out of the green Scientific Station, so full of endemic wild life. 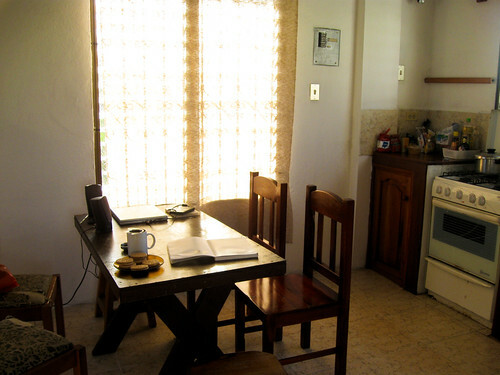 I definitely need more privacy (and more space in the refrigerator), so I found a sweet little house in Puerto Ayora, near to grocery shops, bars and kioskos. It wouldn’t be as quiet and naturalistic as in the Station, but it won’t be so bad, as I’ll keep going to my fantastic office by the sea everyday (uh, please, remember me to write something about that place: it’s my favorite place in the whole world!!! ).